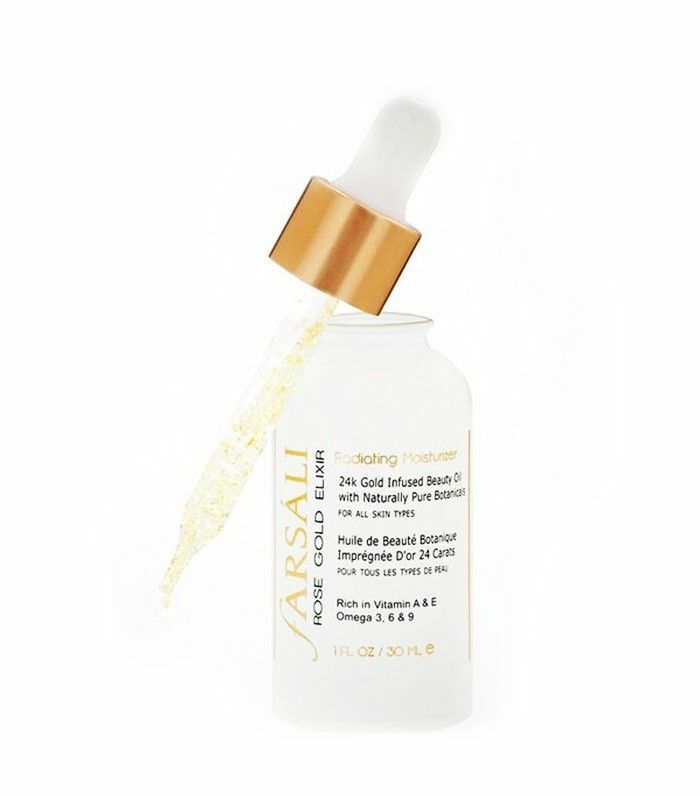 Even if you aren't an avid stalker of beauty bloggers' Instagram accounts like I am, you've likely come across Farsáli's Rose Gold Elixir ($35). 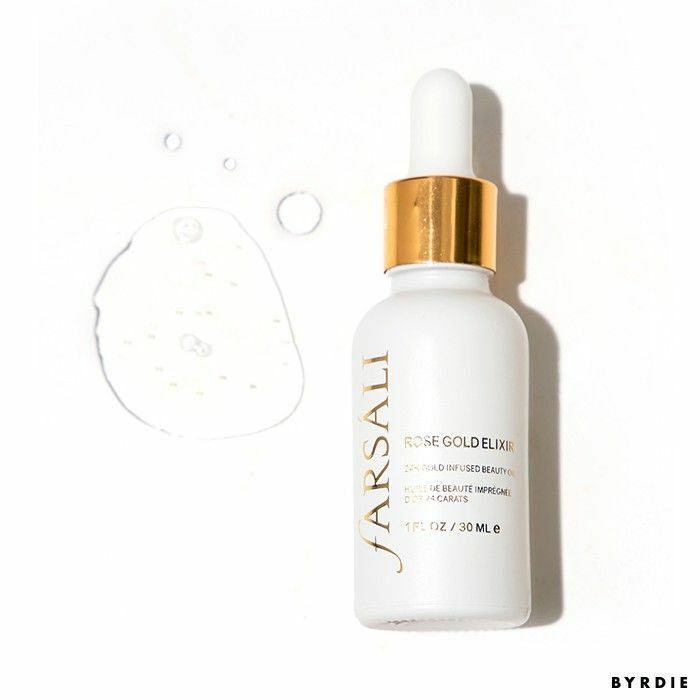 The gold-flecked oil has been advertised on some of Instagram’s most famous accounts—Huda Beauty, Nicole Concilio, ILuvSarahii—and boasts myriad benefits as a daily moisturizer, anti-aging serum, and primer. The product was created by Sal Ali, a product developer and husband to mega-blogger Farah Dhukai. Dhukai had expressed frustration with the absence of simple, skin-loving ingredients in most of her makeup, thus inspiring this versatile oil. Hype aside, I was quite skeptical of this product at first, like I am of most products advertised on Instagram. I equate as-seen-on-social-media products with as-seen-on-TV products. They just seem too good to be true. However, as a genuine beauty lover, I was intrigued. I got my hands on a bottle, and despite the odds, I soon began my love affair with Farsáli oil. The incredible scent is what struck me first. (I wonder if they'd consider making this into a perfume?) It’s delicate and citrusy, thanks to the orange peel and lemongrass oils, two of only six total ingredients. Pumpkin seed oil, vitamin E, 24-karat gold, and rose hip oil round out the list (which seems to have been taken from my personal skincare dreams). As for application, I took the advice of several bloggers and decided to blend the oil with my foundation, a technique that promises to keep your skin glowy and hydrated all day long. I added a couple drops to my Beautyblender before applying Revlon's Colorstay 24 Hour Foundation ($10). Mixed with the oil, the texture of my foundation changed, becoming more blendable and fluid without altering the coverage. The radiance boost was immediate and significant, so much so that I opted to go sans highlighter. The glow didn’t fade throughout the day, and my skin stayed soft and moisturized. I did end up swiping on translucent powder at lunch when I noticed some shine, but it was a small price to pay for all-day luminescence. Next on my agenda was to apply the oil on a makeup-free face. The oil soothed my tired skin and offered an intense dose of moisture that lasted for hours. Just like the day before, it lent my skin a healthy glow, making me slightly less self-conscience about going bare-faced. The product also claims to reduce hyperpigmentation, fine lines, and stretch marks, thanks to the natural retinol found in rose hip oil. I can't attest to this quite yet, seeing as this product is fairly new to my skincare arsenal. But I'm optimistic. I can say, however, that at the end of my Farsáli trial period, I'm in love. The formula is so lightweight and simple that I feel at ease using it every day. No breakouts in sight, I've continued blending it into my skin each and every morning. What products have you been dying to try? Sound off in the comments below!